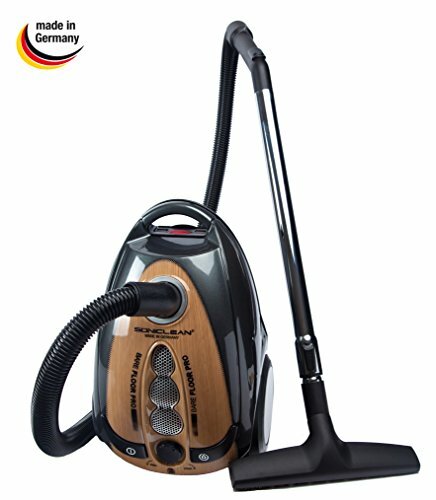 Made in Germany by skilled technicians – the Soniclean ultra quiet Bare Floor Pro is expertly designed to clean it right. From heirloom Persian carpets, to fine hardwood and tile floors, to antique furniture… it will do the job beautifully! Lightweight canister is designed to make vacuuming easy. Canister body weighs only 12 pounds! 1150 watt variable speed motor delivers professional-grade power and suction.